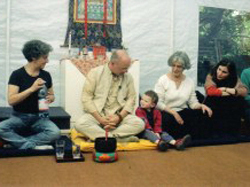 (2004) Beginning in 2000 the Trust funded a three-year plan of support for the Santiago Shambhala Center. The plan provided for visiting teachers to teach key programs, train local instructors and provide needed administrative support. 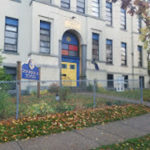 In February 2003 the Trust pledged $13,675 for the first year of Mr. Luna’s stay in Santiago, and enough for the first few months of his second year (2004) in the amount of $3,725 with this additional amount of $8700 to complete the second year pledge. The Shambhala Trust is always looking for inspiring and uplifting projects that we can support with funding and mentoring. If you feel that we may be interested in your project and would like to apply for assistance, you can learn more here about the process and how to get started. If you would like information about joining the Trust or submitting proposals for consideration, please contact Judith (Zeb) Zuckerberg, Trust Administrator, via email: trustadmin@shambhalatrust.org or phone: 303-444-0190, ext. 114.